Garden Plaza in Puri has been designed to give the lofgers a memorable stay in a sweet and subtle environment. The hotel is quite sophisticated with minimalist designing augmented with very smart use of furnishings. 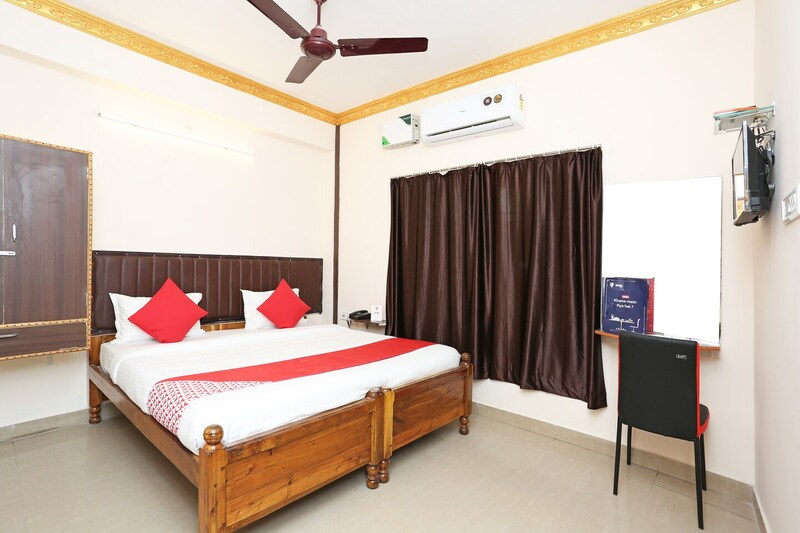 The bedrooms at the hotel have a simple and sober decor with light colored walls and dark woof furnishings, lending the room with a warm and cozy ambience. The hotel also boasts of a spectacular in-house restaurant that will be serving joy to ones taste buds. The place is located quite close to the Puri Sea Beach and Jagannath temple is also just a few miles away. Other amenities offered by the hotel are free Wi-Fi, power backup, seating area, dining area, laundry facility and a card payment option.